Our latest project management integration is now live: Redmine! Setting up your Redmine integration is very simple! 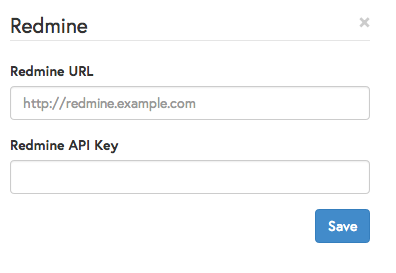 Head over to your integrations page, and enter your Redmine URL (for example: http://redmine.example.com) and your API key (You can find your API key on your account page ( /my/account ) when logged in, on the right-hand pane of the default layout). Once that’s done, you can start creating issues in your projects! The description is already prepopulated for you with the original message from the user. Also a huge shout out to Ezequiel from Lyracons (a software development company focused on open source eCommerce implementations. Vast expertise in complex, large-scale, B2C & B2B projects) for his invaluable help testing and debugging the integration!